This is a tale of a rat that can also cook and makes a very unusual alliance with a kitchen worker in a very famous restaurant. 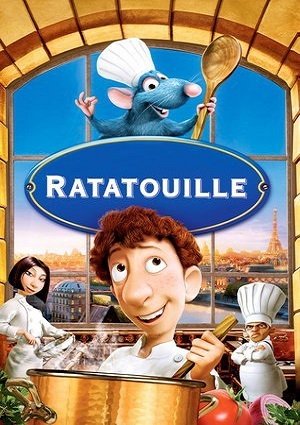 The rat (Ratatouille) teaches his friend (the kitchen worker) how to make better food, tastier food that would later bring even more fame to the restaurant because of the great food that they make. They soon struggle to hide Ratatouille from the eyes of the chefs and other people that would disapprove of having a rat helping in the kitchen so this becomes a great story of a bond between a human and a rat.